Another study provides more good news for vapers. Another vaping study, showing the positive health effects of e-cigarettes, has been largely ignored by many mainstream news outlets. Scientists made several observations during the course of this year long study, determining that e-cigarettes are less toxic than traditional tobacco cigarettes. The e-cigarette study, first posted by CNN, and later covered by CBS Detroit, set out to answer many of the important questions regarding the health effects of vaping. Researchers gathered data from 2013-2014, from a total of 5,105 US adult participants. Participants were broken down into four separate groups: those who only smoked cigarettes, those who only used e-cigarettes, dual users, and those who did not use at all (non-users). Goniewicz and partners looked at 50 biomarkers (used for presenting tobacco-related data). And what they found served to confirm many common beliefs held among members of the vape community. Those who did not use either tobacco or nicotine delivery systems had the lowest concentrations of exposure to most of the biomarkers. E-cigarette only users were still exposed to several toxicants. 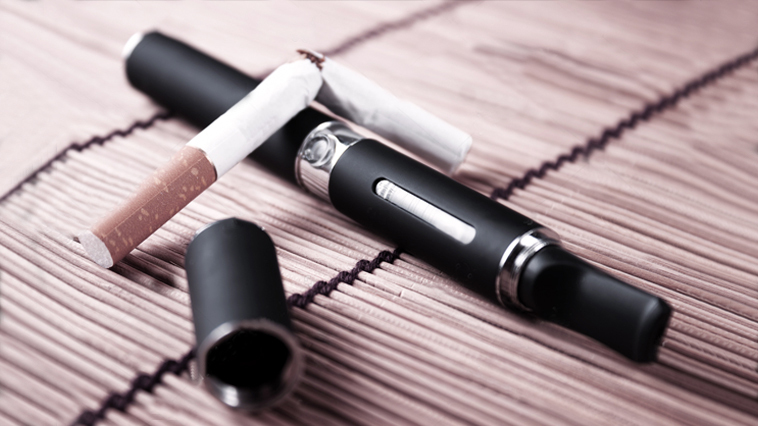 E-cig users showed significantly less toxicant levels when compared to tobacco only smokers. Dual users showed the highest level of exposure. Dual users did not see a reduction in toxicant levels. Cigarette smoker biomarker concentration levels were 36% lower for total nicotine equivalents and NNAL. Dual users biomarker concentration levels were 23% lower for total nic and NNAL. Goniewicz also feels that a clear health message must be delivered to those smokers making the transition from tobacco to e-cigs. Unfortunately, most major media outlets have done a pretty poor job at presenting this information to the public in a non-biased, informative manner. Not using (tobacco products or e-cigs) is still the best option, so if you’re not reliant on tobacco products now, you’re better off staying away. The same holds true for underage kids thinking vaping looks “cool”. I you don’t smoke, stay away from e-cigs. However, if you’re a teenager whose already addicted to cigarettes (and accustomed to nicotine exposure), e-cigs may be a better alternative. Dual use is still not good. If you’re using two products while making the transition from cigarettes to e-cigs, that’s okay. As long as you remember that until you make the switch completely (that is, stop using combustible tobacco products) you’re not likely to experience any positive health effects or decrease exposure to toxicants. Vaping is not danger-free, and no one ever claimed it was. But when compared to traditional cigarettes, exposure to toxicants can be greatly reduced when e-cigs are used how they were intended (harm reduction). Vaping is not without risk, but it does offer a noteworthy reduction in toxicant exposure, while providing a relatively clear pathway to a tobacco-free lifestyle. Those who’ve been smoking for years, should be encouraged to at least consider vaping as an option! For more on this study, please visit CBS local. Looking for great deals on vaping hardware? Check out our Vape Deals page! Previous articleCan Your Vape Juice Improve Your Love Life? Next articleShould the Legal Smoking Age Increase to 21?